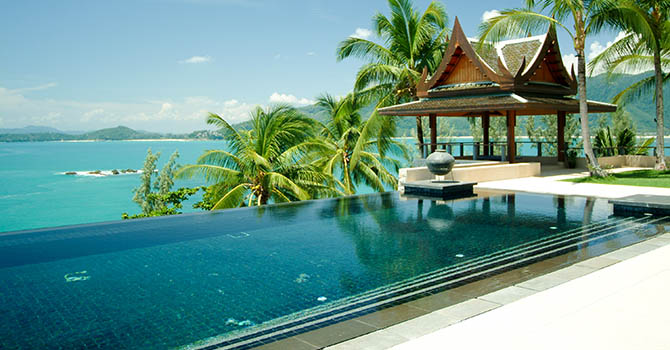 Baan Laemson, a 6 bedroom ocean view property, is truly a unique embodiment of class and sophistication on a secluded peninsula in tropical Phuket. 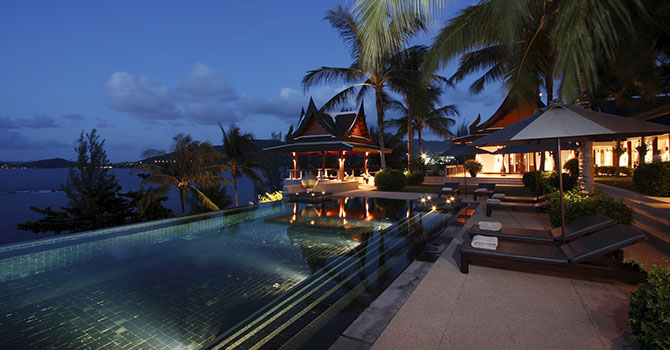 Boasting elegant design and artfully placed Thai antiquities as well as every modern amenity, this island escape is truly ideal for wedding parties, business retreats, family holidays, and any large group vacation. 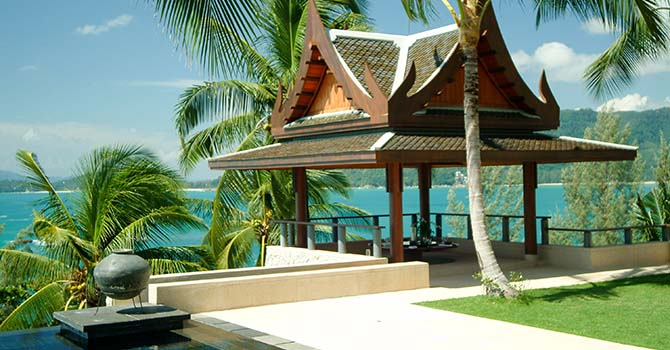 An outdoor Thai dining sala with views for miles makes this extraordinary Villa the perfect place to entertain, relax and enjoy the serenity of the island. Featuring a fully stocked cinema room with an entertainment console and an expansive oversized infinity pool overlooking the ocean - this Villa is truly a spectacular retreat. Hold a sparkling cocktail party beneath the stars or a fun family brunch by the pool - it’s perfect for everything! 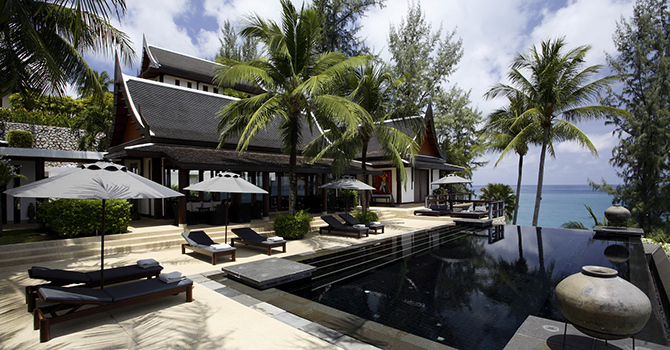 Located in stunning Kamala beach, this villa is in the ideal location on the island with a perfect balance between serenity and conveniently close activities and dining. This gorgeous villa includes six stunning bedroom suites, all boasting sumptuous king beds and fantastic spacious ensuite bathrooms. "We had an ABSOLUTE ball!!!" 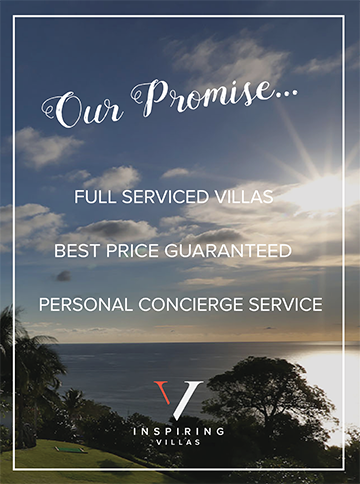 I completely fell in love with the villa and will go back in the future again for sure. It was really sad to leave and especially the staff who were just AMAZING!!! The food was unbelievable and we at like kings.